Quality in medical education is equally important, if not more, than quantity, the Bench remarked. The Supreme Court, coming down heavily on Kalinga Institute of Medical Sciences (KIMS) for venturing adventurist litigation and playing with future of students, has directed the Medical council of India to restrain it from increasing the intake of students from 100 students to 150 students for thecourse for the academic year 2016-17 and 2017-2018. The Apex Court bench comprising of Justices Madan B. Lokur and N.V. Ramana has also imposed costs of Rs. 5 crores are imposed on KIMS for playing with the future of its students and the mess that it has created for them. The Court also observed that the High Court should have been more circumspect in passing interim orders directing the admission of students.The Court has also directed the MCI and Central Government to prepare a Standard Operating Procedure for conducting an inspection as required by the Medical Council of India Establishment of Medical College Regulations, 1999. The chronological events which lead to this judgment by Apex Court is as follows. June2015 - Central Govt directs KIMS NOT to admit any students in thesecond batch of MBBS course against the increased intakefrom 100 to 150 seats for the academic year 2015-16. November 2015:SCdirects the High Courtto hear the pendingwrit petition expeditiously. January, 2016: In fresh inspection carried out pursuant to HC order, Inspection Team onceagain found a very large number of deficiencies in thefacilities available at KIMS. March 2016:HC directs the MCI to grantnecessary permission to theinstitution to continue with the education of its students admitted prior to September 2015 within the revised enhanced intake i.e. 100 to 150, observing that no deficiency as alleged exists in the present circumstances. The Apex Court made the following observations disposing of the appeal filed before it by Medical Council of India. Undoubtedly, there is something rotten in the state of medical colleges. Unless the concerned Ministries in the Government of India take a far more proactive role in ensuring that medical colleges have all the necessary facilities, clinical materials, teaching faculty, staff, accommodation etc. the health of the people of our country will take a hit in the coming years due to inadequately educated doctors. Quality in medical education is equally important, if not more, than quantity. Costs of Rs. 5 crores are imposed on KIMS for playing with the future of its students and the mess that it has created for them. The amount will be deposited by KIMS in the Registry of this Court within six weeks from today. The amount of Rs. 5 crores so deposited towards costs shall not be recovered in any manner from any student or adjusted against the fees or provision of facilities for students of any present or subsequent batches. KIMS is restrained from increasing the intake of students from 100 students to 150 students for the MBBS course for the academic year 2016-17 and 2017-2018. The MCI and the Central Government shall enforce strict compliance of this direction. The MCI or the Central Government will proceed to take action against KIMS (if deemed advisable) under Clause 8(3) of the Medical Council of India Establishment of Medical College Regulations, 1999 (as amended) as mentioned in the communication of 15th June, 2015 of the Central Government. Rather than every Inspection Team following its own procedure for conducting an assessment, the MCI should in consultation with the Central Government prepare a Standard Operating Procedure for conducting an inspection as required by the Medical Council of India Establishment of Medical College Regulations, 1999. The Standard Operating Procedure should be finalized within a period of six weeks fromtoday and should be accessible on the website of the MCI. 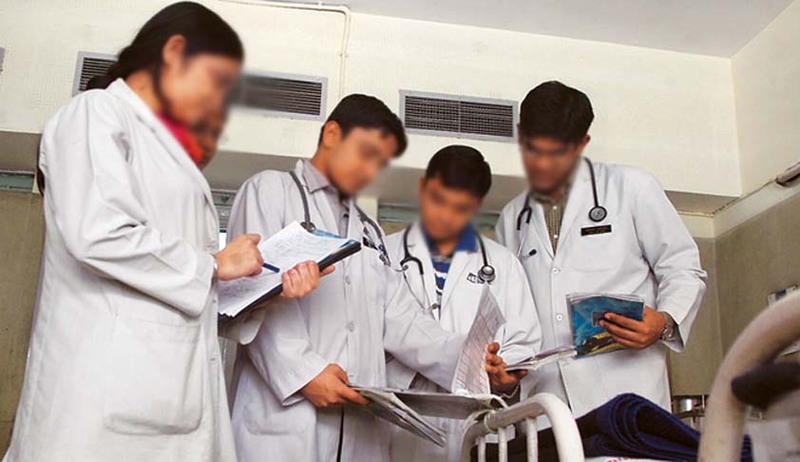 To introduce transparency and accountability in the medical colleges, the report or assessment of the Inspection Team should be put up on the website of the concerned medical college as also on the website of the MCI so that potential students are aware of what is likely to be in store for them. Similarly, the decision of the Central Government on the report should be put up on the website of the concerned medical college as also on the website of the MCI.